Born in 1800, William Holmes McGuffey had a remarkable ability to memorize, and could commit to mind entire books of the Bible. After becoming a teacher at the age of 14, classroom size was just one of several challenges faced by McGuffey.In many one-teacher schools, students’ ages varied from six to twenty-one, and few textbooks existed. In 1835, a publishing firm asked McGuffey to create a series of graded Readers for primary level students. The series consisted of stories, poems, essays and speeches and it is estimated that at least 120 million copies of McGuffey's Readers were sold between 1836 and 1960, placing its sales in a category with the Bible and Webster’s Dictionary.Since 1961 they have continued to sell at a rate of some 30,000 copies a year. No other textbook bearing a single person's name has come close to that mark. 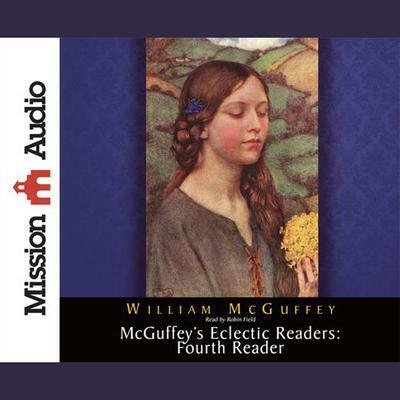 McGuffey’s 3rd Reader is appropriate for a variety of ages/reading levels, but most closely approximate 3rd to 5th grades.